X Es lebt in Höhlen, die Erdwärme ausgesetzt sind. Es springt heraus und beißt, wenn Feinde sich nähern. X Il niche dans des cavités chauffées par géothermie, dont il bondit pour déchiqueter tout intrus. X Vive en agujeros en las cuevas, al amparo del calor geotérmico. Si se acerca un enemigo, le muerde. X Vive in gallerie scaldate dal calore geotermico. Se sente un nemico arrivare, salta fuori e lo addenta. X 지열로 데워진 구멍에서 지낸다. 적이 가까이 오면 구멍에서 뛰쳐나와 커다란 입으로 물어버린다. Y Es nistet in kleinen Löchern in Höhlenwänden. Es springt Beute, die sich zu nah heranwagt, an. Y Il niche dans les petits trous horizontaux des murs des grottes. Il bondit pour saisir sa proie. Y Anida en pequeños agujeros en las paredes de cuevas. Cuando una presa pasa cerca, salta hacia ella. Y Nidifica in piccole cavità orizzontali nelle pareti delle grotte. Si avventa sulle prede che si avvicinano. Y 동굴의 조그만 구멍을 보금자리로 쓴다. 먹이가 다가오면 재빠르게 뛰쳐나가 붙잡는다. 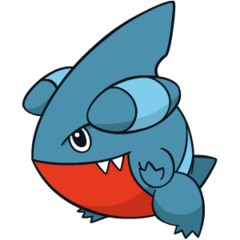 Omega Ruby It nests in small, horizontal holes in cave walls. It pounces to catch prey that stray too close. Omega Ruby Es nistet in kleinen Löchern in Höhlenwänden. Es springt Beute, die sich zu nah heranwagt, an. Omega Ruby Il niche dans les petits trous horizontaux des murs des grottes. Il bondit pour saisir sa proie. Omega Ruby Anida en pequeños agujeros en las paredes de cuevas. Cuando una presa pasa cerca, salta hacia ella. 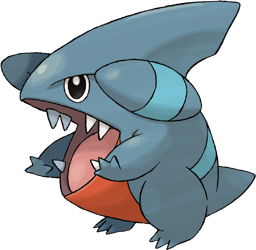 Omega Ruby Nidifica in piccole cavità orizzontali nelle pareti delle grotte. Si avventa sulle prede che si avvicinano. Omega Ruby 동굴의 조그만 구멍을 보금자리로 쓴다. 먹이가 다가오면 재빠르게 뛰쳐나가 붙잡는다. Alpha Sapphire It nests in horizontal holes warmed by geothermal heat. Foes who get too close can expect to be pounced on and bitten. Alpha Sapphire Es lebt in Höhlen, die Erdwärme ausgesetzt sind. Es springt heraus und beißt, wenn Feinde sich nähern. Alpha Sapphire Il niche dans des cavités chauffées par géothermie, dont il bondit pour déchiqueter tout intrus. Alpha Sapphire Vive en agujeros en las cuevas, al amparo del calor geotérmico. Si se acerca un enemigo, le muerde. Alpha Sapphire Vive in gallerie scaldate dal calore geotermico. Se sente un nemico arrivare, salta fuori e lo addenta. Alpha Sapphire 지열로 데워진 구멍에서 지낸다. 적이 가까이 오면 구멍에서 뛰쳐나와 커다란 입으로 물어버린다. Diamond It lives in small tunnels of caves. It swiftly jumps out to catch prey when they come near. Pearl It once lived in tropical lands. In order to escape from the cold, it lives close to the heat from the ground in warm caves. SoulSilver It nests in horizontal holes warmed by geothermal heat. Foes who get too close can expect to be pounced on and bitten. White It attacks using its huge mouth. While its attacks are powerful, it hurts itself out of clumsiness, too. White 2 It attacks using its huge mouth. While its attacks are powerful, it hurts itself out of clumsiness, too.